← A Tex-Mex roundup for Cinco de Mayo! Entertain with ease thanks to this tasty make-ahead treat! Have you ever played the hypothetical “deserted island food” game? In a nutshell, you identify one (or several) foods that you would be quite content to eat every day for the rest of your life, should you become stranded on a deserted island and have to rely on a limited selection of food. I’ve always maintained that my deserted island foods would be baguette, smoked salmon and salad. 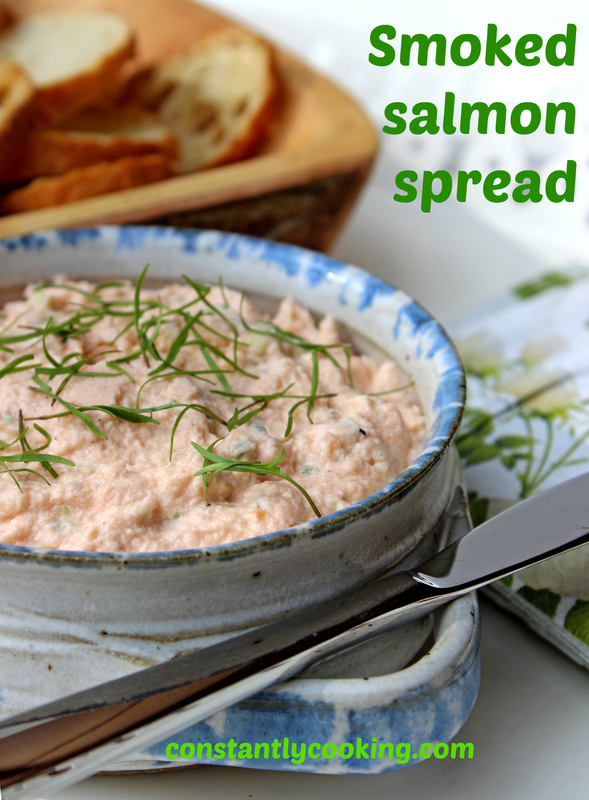 I think I’m ready to modify that list just a little, and substitute this smoked salmon spread instead. It’s so easy, so delicious and best of all, you can make it up to 48 hours before serving. It’s a huge hit whenever I offer it to friends and family, often leaving me wishing I’d made a double batch so I could enjoy a more substantial portion. I’ve served this at cocktail parties, book clubs and family brunches and there are never any leftovers. I guess that’s the highest praise a cook can hope for. Pulse all ingredients except dill together in a food processor until thoroughly blended. Transfer to a serving dish; cover with plastic wrap and refrigerate for at least one hour to allow butter and cream cheese to firm up and help the mixture solidify a little. To serve, garnish with dill. It’s delicious spread on sliced baguette, crostini or sturdy crackers. Makes approximately 2 cups (500 mL) of spread. 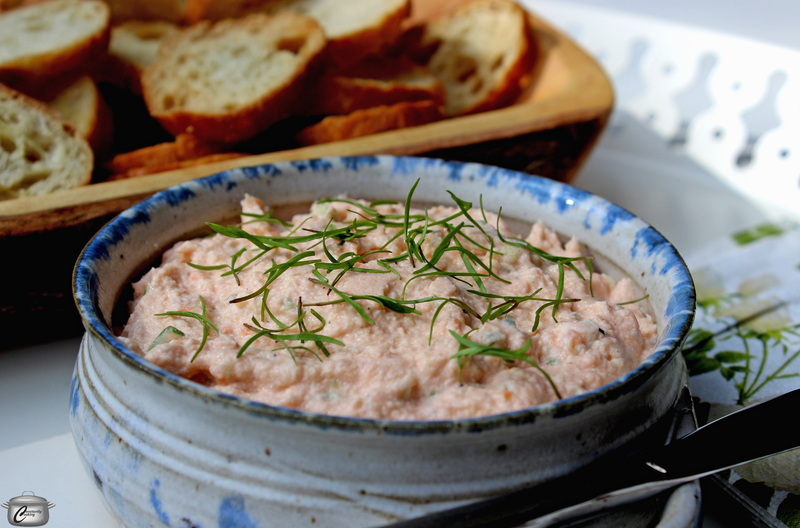 This entry was posted in appetizer, brunch, festive, fish and tagged cream cheese based spread, delicious, dip, fish spread, make-ahead, Mother's Day, nutritious, Paula Roy, savoury spread, smoked salmon, smoked salmon dip, smoked salmon pate, smoked salmon spread, what to serve for brunch. Bookmark the permalink.